VESI and PowerGUI happy together again! Now there is no longer a standalone separate version of PowerGUI (which is what EcoShell – also known as The Virtualization EcoShell Initiative or VESI) specifically for virtualization management. You just download PowerGUI, which has VMware PowerPack and VI client integration right in the setup, with PowerPacks for other virtualization platforms available for free download. VESI was a branch of PowerGUI shipped with virtualization PowerPacks and on its own release schedule. This allowed our virtualization team to get ahead in some features which were really important to the virtualization community – such as charts. However, this also led to duplication of efforts and VESI was falling behind some other features which PowerGUI had. And this made lives of PowerPack developers more difficult because they had 2 (albeit similar) platforms to target. With 2.3 release of PowerGUI, we have one product which has full functionality of both previous versions of PowerGUI and VESI – and this is our direction going forward. One product (and a set of PowerPacks) to better server all of the IT professional community including virtualization. 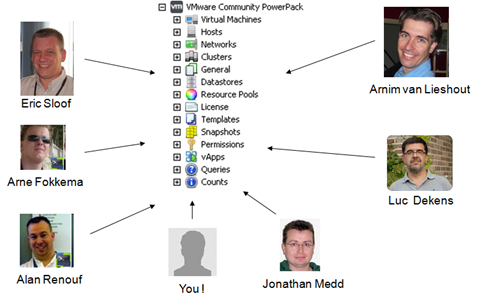 Alan Renouf has completely open-sourced one of the most popular virtualization management tools out there – VMware Community PowerPack. This is a free custom add-on (also known as Virtu-Al PowerPack ;)) for PowerGUI/VESI and it has already been downloaded more than 10,000 times! For all this time, the PowerPack (as actually any PowerGUI pack) has been open source in the sense that you could see the PowerShell code behind it and modify it for your personal needs. What is changing is that now the pack itself becomes a community effort and you can (in fact, in my opinion, should ;)) contribute back to make it better. 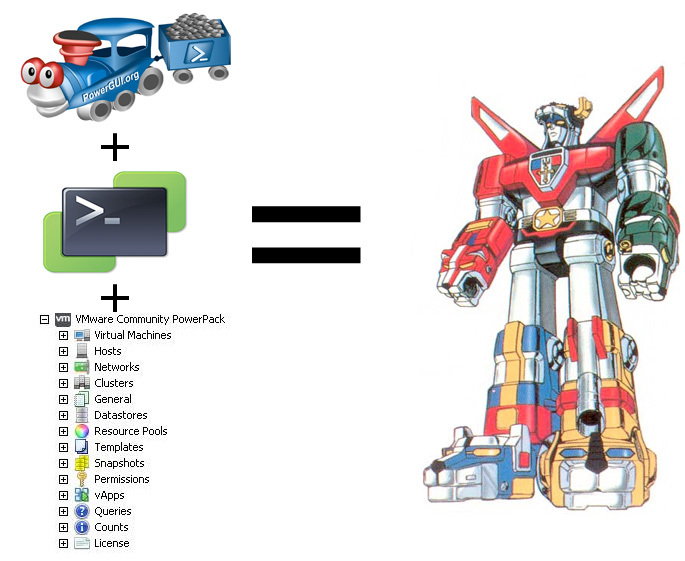 Go to the VMware Community PowerPack to join the project! PowerPack Challenge 2009 got its first contestant and it is absolutely fantastic. If you are an administrator managing VMware infrastructure – this is a great free addition to your arsenal. Just look at the screenshot of the navigation tree. The tool is just an amazing collection of super-useful reports on VMware hosts, guest machines, datacenter, resource pools and clusters, and goes beyond that by adding licensing information and even a virtualization tip of the day! You can download Alan’s PowerPack here. Read more about the pack and send your feedback here. Good thing there’s more than one prize for the contest. 😉 So if you are into PowerShell and have a great idea of a tool to make someone’s life easier – go for it – create your PowerPack and submit it to the contest! Need to create cool-looking Visio diagrams for your virtual, VMware, Hyper-V, etc. infrastructure? You can actually get one for free! The folks at VESI (Virtualization EcoShell Initiative) have shared the stencil they are using for Visio reporting (the same stencil is also used in PowerGUI’s VMware PowerPack). Just go to the VESI downloads page, scroll to the bottom of the page and download the stencil! Jonathan and Hal have just posted the recording of the podcast they had with Scott Herold – virtualization guru who helped us a lot with VMware PowerPack who is currently working on Virtualization EcoShell Initiative (VESI). What is the difference between PowerGUI and VESI? Does VESI support PowerGUI enterprise features such as interface lockdown and central distribution? Will VESI support Hyper-V and Xen? Learn this and much more here.